One aspect of Seattle history is its built environment and landscape. How have the forces of nature, people and historic events interacted to create Seattle? On Saturday, March 7, the conference program of the Pacific Northwest Historians Guild will be held at the downtown Seattle Public Library on the theme of The Urban Northwest in Landscape and Story. All events are free and open to the public. The library is at Fourth & Spring Streets and has a parking garage. 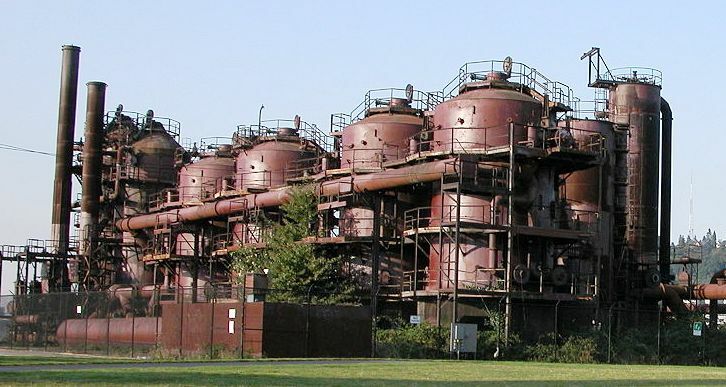 9 AM – Plenary Session – “Thick Stories of Seattle’s Urban Landscape: Gas Works Park by Richard Haag” By Dr. Thaisa Way, Assistant Professor of Landscape Architecture at the University of Washington College of Built Environments. 10:15 to 11:45 AM and 1:30 to 5 PM – diverse sessions on the urban history of the Pacific Northwest. 12 noon – Keynote Speaker – “History Underfoot: Seattle’s Storied Landscape” By David B. Williams, a freelance writer whose work focuses on the intersection of people and the natural world. David B. Williams’ books include Stories in Stone: Travels Through Urban Geology, The Seattle Street-Smart Naturalist: Field Notes from the City and Cairns: Messengers in Stone. In September 2015 his newest book will come out, Too High and Too Steep: Reshaping Seattle’s Topography. This book will explore how the City of Seattle reshaped itself through projects such as the filling of tideflats and sluicing of hillsides. This entry was posted in Events and holidays and tagged Nature and history of Seattle, the Pacific Northwest. Bookmark the permalink. 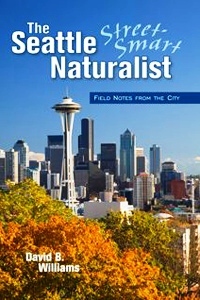 I have The Seattle Street-Smart Naturalist in my library and I’ve introduced it to a couple of other readers. It’s nice to see David Williams has another book coming out. At the conference David Williams did a wonderful job of communicating the Love of Rocks! And a humorous view of Seattle’s Love of Rejiggering the Landscape.